The world sure is a strange place. Just when you think you’ve seen everything, something new hits you on the side of the head. When I was growing up, the number one theological question was this one: “Once saved, always saved?” People who asked this question wanted to know whether it is possible for a Christian to lose their salvation. Well if bullfrogs and butterflies can turn back into tad-poles and caterpillars, then I guess it’s possible. But now there’s a whole new question being asked, which is this: Is everybody saved? Many are saying yes: “Jesus is the Savior of the world. Therefore everyone is already saved, they just don’t know it.” Now before you write this off as universalist heresy, let me add that those who preach this brand of historical reconciliation do not believe everyone is going to heaven. It’s just that everyone is in until unbelief kicks them out. To these three points I respond: (1) it’s true (we are forgiven), (2) it’s sort of true (God has reconciled the world but you still need to be reconciled), and (3) it’s not true (not all are saved). The reason why forgiveness is a done deal and salvation is not, is because forgiveness is a game that requires only one player. God doesn’t need your permission to forgive you. In our puny human minds we find this hard to grasp because we are not natural forgivers. We keep long records of wrong done to us. But God is not like us. He loves us with an unconditional love. He forgives us without any regard for our behavior and in accordance with the riches of His grace (Eph 1:7). Agape-love keeps no record of wrongs which is why God can choose to remember our sins no more. This is wonderful news! When you know His forgiveness, you are empowered to forgive yourself and others. Yes, we still need to receive His forgiveness just as we need to receive His grace. If you don’t believe that you are forgiven, then you will act like an unforgiven sinner. But we need not ask God to do what He has already done. Forgiveness, along with all the benefits of salvation, comes to us in Christ. I have written more about forgiveness than just about any other aspect of God’s grace, so if you need further convincing that you are eternally forgiven, start with this post. Reconciliation, unlike forgiveness, is a two-player game. Both sides need to play. Consider the husband who wishes to be reconciled with his estranged wife. He loves her with an unconditional love that keeps no record of wrongs. In his mind there is no hurt or offense that has not been forgiven and forgotten. So in his love he has come to the table of reconciliation declaring that all is well from his side. Would you say they have been reconciled? Well that depends on the wife. Unless she chooses to be reconciled, there is no reconciliation. Now let’s imagine that the wife is so damaged by an unhappy childhood that she unfairly projects her brokenness onto him. Even though he is a perfect gentleman and beyond reproach, in her mind her husband is an angry and violent man. This is how fallen humanity relates to our loving Father in heaven. Even though God has been unfailingly good to us, in our fallen state we think the worst of Him. We imagine Him to be angry and violent. For as long as we are separated from the life and love of God by our imagined offenses, are we reconciled? Of course not. If the man in our story went around telling others that he and his wife were reconciled – even as she continued living with another man – they would think he was nuts. Yet this is exactly the message that many are preaching. Has the world been reconciled to God? Paul’s answer was “Yes and no.” From God’s side, reconciliation is an historical event. “All this is from God, who reconciled us to Himself through Christ…” (2 Cor 5:18). God has come to us with open arms. He holds nothing against us – not our sins, not our past, not anything. “While we were still sinners Christ died for us (Rom 5:8). Glory to God! However, there is no reconciliation in fact unless we respond to His overtures. Hence Paul’s exhortation, “We implore you on Christ’s behalf: Be reconciled to God” (2 Cor 5:20). God loves the world so much that He came and died for us. His heart yearns for the lost and broken. He does not want an historical reconciliation that is not presently true. He wants His kids! Those who preach historical reconciliation argue that fallen man’s estrangement is based on a lie. Men fear God needlessly and I agree. God is not angry with us. He really does love us. And it is certainly not wrong to preach that God has reconciled us to Himself through Christ since this is what Paul preached. But with equal passion we must also preach the other side, as Paul also did: We implore you – be reconciled to God. I’ve heard some claim that the whole world is saved as if this declaration would somehow cause the unsaved to come to their senses and start acting saved. So far I haven’t seen that happen. The Father loved the prodigal at all points in the story, but he never chased his son into the city telling him “You’re mine! Come home.” If he had, his cries would have fallen on deaf ears. Now the son was the son for the entire story, but separated from his dad he was very much a lost son. He wasn’t “saved” until he turned back and found himself in his father’s embrace. So is the whole world saved or isn’t it? Well if the answer is yes, then why are there so many scriptures indicating that God wants us to be saved (1 Tim 2:4) and that He now commands people everywhere to repent (Acts 17:30) and believe in the name of His Son (1 Joh 3:23) in order to be saved (Mk 16:16), etc. By my count there more than two dozen scriptures specifically exhorting people to be saved and literally hundreds more exhorting them to repent, believe, receive, have faith, trust in God, etc. As far as I can tell, there is not one verse in the Bible that categorically says all humanity was saved at the cross. Certainly, Jesus has provided for our salvation – His is a finished work. Certainly it is the Father’s will that all should be saved and that none should perish. But His is not the only will in the equation. It takes two people to make a relationship and this is why the New Testament writers repeatedly say that all are not saved. I don’t have time to delve deeper here, but if you’re interested or are wondering about a particular scripture, I encourage you to check out my easy-to-read study notes. Does it really matter if we tell unbelievers that they were reconciled and saved 2000 years ago? It surely does! I have heard those who preach historical reconciliation say, “Jesus has established a relationship with all of us.” This is simply not true. Although He surely desires it, Jesus has no relationship with those who are “darkened in their understanding and separated from the life of God” (Eph 4:18). The light of men has come into the world but some men prefer the darkness. If Jesus had a relationship with everyone, why would Paul exhort us to preach the message of reconciliation? Why would John proclaim “what we have seen and heard so that you may have fellowship with us and the Father and the Son”? What kind of husband are we portraying when we tell sinners that Jesus married them without their knowledge or permission? Tell a sinner that they are saved and already in a relationship with Jesus and they will look at you sideways. As far as they are concerned, Jesus is not a part of their life. So don’t tell them that He is. Instead tell them that the Lover of their Souls is standing outside their door holding a big bunch of flowers, knocking, and waiting to be invited it. They may hesitate in the belief that God is angry with them or wants them to get their lives sorted out before they come home, but it’s not true! Their heavenly Father longs for them with unconditional love and eternal forgiveness in His heart. He has already shown us His love through the cross and countless other ways. Now He waits to see how we will respond. Will we stay in the pig pen? Will we come to Him looking for a job? Or will we lose ourselves only to find our true selves in His wonderful embrace? 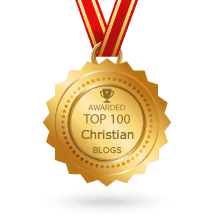 32 Comments on Forgiven, Reconciled, and Saved? This is very interesting. I had never even heard that people thought this way. However, it does make me think of some discussions that I have had lately. Is there a way we can ask you questions to be answered in Q & A style? I really enjoy your writing and respect your wisdom in the scriptures. Hi Lori, you’re welcome to ask anything you like but understand that I get asked about five times as many questions as I have time/insight/wits to answer, so disappointment is statistically inevitable. Please note that the study notes associated with this post reflect my Socratic love for a good question and are presented in FAQ format. Possibly any questions you may have on this subject have already been addressed there. Hi Paul there is a question id like to ask and that is what did Jesus mean when he said I never knew you. That has been a scripture that has torched me for years. Jesus is speaking to wolves in sheep’s clothing – false prophets (Matt 7:15-23). He is not speaking to Christians but people he never knew. We really ought to separate the medicine for the sinners, and the medicine for the save like what you mentioned in one of your older posts. this goes in line with the stmt that We (ALL) are children of God,,,, when we do not become children until we say yes to His Son! !…..this is a good post! For me, saved doesn’t just mean the place one ends up (heaven/hell) when one departs from this world. It means the difference between a heaven/hell experience here and now. The concept of a moment of reconciliation that spells a life trajectory (with God/without God) is bogus. One can stop trusting God even while that person is giving assent to the concept that they are “saved”. If they are not experiencing the transformation that is continuous when one trusts God and throws away his own life, what good is that person’s “salvation”? Paul, I heartily agree with you that reconciliation does not mean saved. But I think people who call themselves “Christian” can live life without experiencing transformation. My viewpoint tells me I should “preach” to all people… “saved” and “unsaved”. For me, salvation is trust in God, real trust in God with real transformation that shows itself with peace, joy, patience, kindness etc. Thank you, Paul, you’ve made a very important distinction and I completely agree. Some of the distinction may simply come down to the difference between the words reconciled and saved, one being the offering and the other being the state after receiving the offer. Good word Paul! However am kind of confused about how the forgiven sins get imputed onto the sinners in the end. apparently God doesn’t need anyone’s permission to forgive them…so why judge them for the sins he supposedly forgave. God has removed our sins as far as the east is from the west. They no longer figure in our future. Whatever you may think of hell, no one is going there for their sins. Rather, they go because they reject the free gift of grace revealed in Jesus. Jesus said “He who believes in me has crossed over from death to life” (Joh 5:24). Those who persist in unbelief never cross over. Very insightful…looking forward to reading more of your work! Brother Paul you are anointed with the Wisdom to simplify complex Issues ( In words) and reveal the Revelation (Heart) of Gods Word!!….Bravo! when i read hear from people like you, a layer of God’s love is further cemented! Yahweh loves and bless you! This is absolute Rubbish. The bible says that the blood of Jesus has taken away sin. However the bible says that unless a person puts personal faith in Christ, their still dead in their sins. ( no brainer). Secondly the blood of Jesus not only took away sins but it always contains the righteousness of God. God by the blood of Jesus has purchased, provided, a package deal (Forgiveness-Righteousness). This is available to man for the taking. The Bible makes it clear. This gift, is to be received by faith, anything else is Anti-Christ. Hi Christian, I’m not sure which part you think is absolute rubbish. You seem to equate forgiveness with righteousness. As I explain in the post, forgiveness is not the same as salvation. Everyone is forgiven, but not everyone has received the gift of His righteousness. on God’s part, all man has been forgiven already (HEBREWS 9:25-28). the question is “does all man knows they are forgiven”? Isn’t it the reason why we are preaching the gospel is that the world has forgiveness of sins? certainly Jesus does not die every time a unbeliever repents. right? Paul, I would have to say I disagree. Paul (the apostle) told us that we can only be enemies of God in our minds. I believe all those verses you mentioned are there to show people that they need to exchange a subjective truth (separation from God) for an objective truth (that they are already saved). I look at it like this… let’s say my house catches fire and I am forced into the bathroom. While there, firemen come in and put out the fire (saved me from the fire). However, in my subjective truth mindset, I do not know the firemen have arrived and saved me and I still believe the fire is a threat. Just because I behave and act like I am still in danger, does not take away from that fact that I am already saved from the fire. The prodigal son was always saved in his Father’s opinion, even if his own mindset wouldn’t allow him to believe so. The whole point of the gospel is to stop thinking with our human/natural mindset and match our minds with Christ. The very notion of separation is unbiblical and founded in Greek ideology thanks to Plato and others like him. When we look at scriptures through grace-colored lenses, we find that separation is only in our minds and that Christ saved everyone. Hi Jordan, thanks for your comment. Distinguishing between objective realities and the subjective experience of those realities is a common way to account for the existence of unbelievers in light of a good God and the finished work of the cross. It is true that our faith does not move God – He already moved. Faith is a positive response to something God has already done. But you can only take these distinctions so far. As I explain in my study notes, the objective/subjective distinction is not the proper way to frame this issue and Jesus never does it. The prodigal was always loved but he was far from anything we might call saved. In fact, Jesus said he was “dead” and “lost” (Lk 15:24). And he says it twice for emphasis (Lk 15:32). This was not just a subjective experience but an objective fact. The gospel is true whether we believe it or not. But the gospel is worthless unless it is received through faith: “For we also have had the gospel preached to us, just as they did; but the message they heard was of no value to them, because those who heard did not combine it with faith” (Heb 4:2). Grace that is not combined or mixed with faith is value-less. This is not to glorify faith but to acknowledge that grace comes to us only through faith. An objectively true gospel that is not believed is a gospel of no value. An unbelieved gospel is as worthless as an unbanked check. Thanks for your reply, Paul! I believe it was my first one ever! Anyway, the reason the prodigal son was not called “saved” was because salvation did not exist yet. No one on the earth was saved at that time, since they all still had the veil of separation over their eyes. This veil was not removed until the cross. This is also why there were no Christians on the earth during Jesus ministry, including the disciples. The prodigal was only ever dead and lost in his mind, not in reality. I also think it is important to remember that the faith you speak of is not ours, but Christ’s. The proper greek translations say we are to have the faith “of” Christ, or “Christ’s faith”, and not faith “in” Christ. Also, I do not base my theology on if Jesus spoke on something. Most of what he said was not for me, or any Christian. Again, thanks for your kind reply. God bless. The faith of Christ is the means by which the righteousness of God is made available to us, as the gospel declares. But this gift has to be received to be of benefit. The Israelites didn’t die in the wilderness because Jesus lacked faith but because they did. Rom 3:21-2 But now a righteousness from God, apart from law, has been made known, to which the Law and the Prophets testify. This righteousness from God comes through faith of Jesus Christ to all who believe. How often did Jesus say to someone, “Your faith has healed you” or “Be it according to your faith”? I thank God that we don’t stand on our faith but His. But if you don’t believe that Jesus’ faith avails much, then it won’t avail much for you. I address this issue (“Are we saved by our faith or His?”) in page 9 of my Doctrine of Inclusion study notes. Again, Paul, a great and much needed article. I like to think that salvation (by grace, thru faith, based upon the redemptive work of Christ on the cross), is provided and is in place for everyone who will accept it. I like to think of salvation as a “present” or a “gift”, if you will, from God. However, if we do not “open” (become saved”), the gift and it just sits on a shelf, not allowing us to trust in Jesus, we remain “lost”. Thanks again for your inspiring work. Isn’t “the Faith” always about making the distinction between works-righteousness and faith-righteousness? And isn’t “the Faith” the gospel (Word of Faith)?…that before He came to speak a new Word, there was only the law for righteousness, based on man’s performance? I agree with Jordan that it’s a mindset, but the mind had to be renewed in order to become a new creation. Isn’t He trying to take us back to the mindset before the fall, as if we had never sinned? Thanks so much for continuing to address this foundational issue! All things consist in Christ! In him we live and move and have our being! Paul was speaking to a bunch of idol worshipping heathens at the time. God sent Paul to open their eyes and turn them from darkness to light and the power of satan (the law) to God. The Holy Spirit dwells in every person on the earth my friend. We are freely justified by grace and justified by the faith of Jesus. He is the high priest and sits at the right hand representing the human race of new recreated humanity. Born again through the resurrection according to Gods abundant mercy! JESUS was the last Adam. No one has the adamic nature anymore that is a demonic lie. As Christ is so are WE in this world. My friend the veil of the law is lifted off our minds to see clearly now the greater effects of the finished work in all mans hearts. The grace of God has appeared to all men! We have ALL received of his fullness and grace upon grace. What glorious good news of glad tidings to ALL men! My friend it is good news with no mixture and conditions 🙂 this is e fathers true heart of love for ALL mankind. Amazing article! This IS the good news. Joseph Prince even refuted this univeral salvation idea in his Resurrection day sermon. I have made many enemies on Facebook because I blogged as you did about the error of this teaching. I actually used your notes and Ryan Rufus’ as well as a study guide. I even linked both of you in my posts. I didn’t cut and paste from your article but I did get further insight from like minded believers. I appreciate your bold stand. I just wish other grace ministers would take such a bold stand. Something is lost in translation. We hear the word confess and think, well, confess. But John wasn’t writing in English and the word he said means “to agree with God.” You will never receive God’s grace until you agree that you are in need of forgiveness. 1. Forgiveness and reconciliation are separate actions. 2. Forgiveness was universal and unconditional (2000 years ago). 3. Reconciliation is individual and conditional (at the moment of belief). 1. What about the “Lords Prayer” where the disciples where instructed to ask for forgiveness? 2. If an un-reconciled individual dies because he/she never said “I do” to His marriage proposal, yet that person is forgiven, how does that work? Does Jesus say, “depart from me you forgiven person; we were never reconciled?” I’m trying to see the rationale for separating the actions, because they are usually considered together. You can find articles on the Lord’s Prayer in the Archives. Forgiveness means all our sins have been dealt with. No one is cast away on account of their sins; all are judged by their response to Jesus. And in the end, everyone gets what they want. If you desire the Lord, you shall have him; if you don’t, you won’t.